I have 3 overloads of an extension method. I don't think the coverage overview or the navigation context menu helps to disambiguate. Fixed. 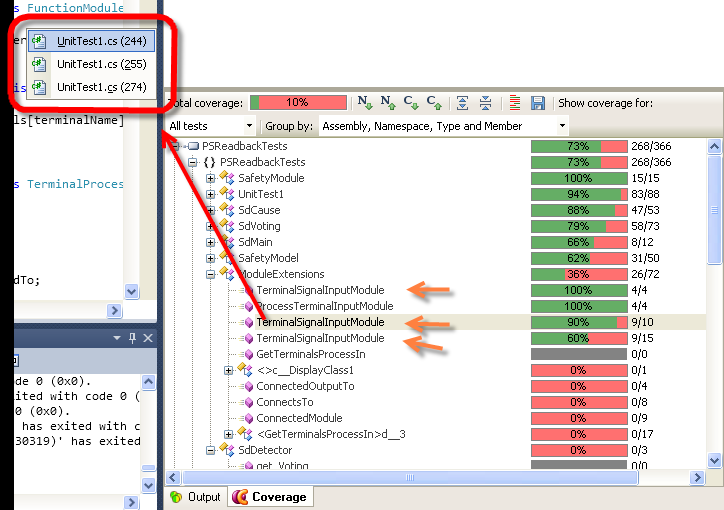 Now we display argument types in the coverage results tree.